SNP deputy leader Keith Brown, who was elected to the post in April, spoke out at a national assembly in the Scottish Highlands where he stressed the importance of independence to a crowd of activists. The assembly saw the SNP – led by First Minister Nicola Sturgeon – discuss a recent paper on the economic case for leaving the UK and follows a series of marches held over the summer in which thousands of campaigners swarmed the streets in support of independence. 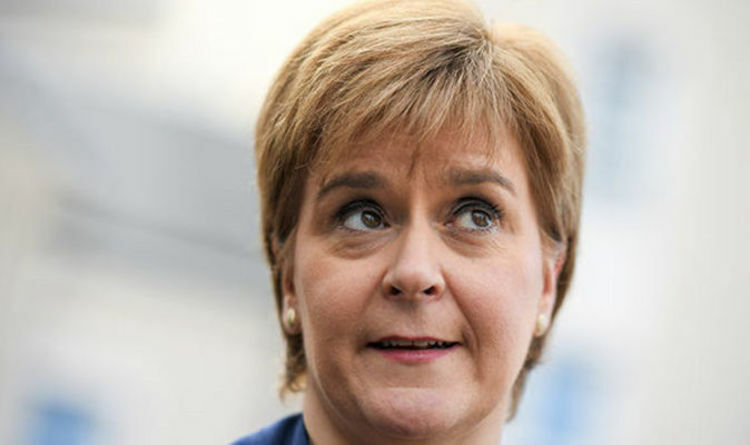 Ms Sturgeon set up the Sustainable Growth Commission which argued a case for Scotland to leave the Union, which saw her conclude that living standards in Scotland could “equal the best small countries in the world” within a generation of independence. But her pledge to see Scotland leave the UK and apply for membership back into the EU was met with fury by critics. Scottish Labour Deputy Leader, Lesley Laird MP, said: “Across the country families and communities are paying the price of more than a decade of SNP government cuts to our public services. “The SNP say that they stand up for Scotland but how is cutting the number of teachers, underfunding our NHS and increasing child poverty standing up for Scotland? It’s no surprise that the SNP want to keep talking about referendums and not their record in government. “We know from the SNP’s Cuts Commission plan that Nicola Sturgeon’s vision for our country is even more austerity, more cuts to our lifeline services and more pain for working people and their families. “The change that the people of Scotland need is not another independence referendum which will create more division, it is a radical Labour government at Holyrood and Westminster redistributing power and wealth to working people. While Scots voted against independence in 2014 the country voted to stay in the EU two years later, but the majority of voters across the UK backed Brexit. Up to 55.3 percent voted to remain in the UK compared to 44.7 percent, while Scotland overwhelmingly backed Remain in the 2016 EU referendum by 62 percent against the 38 percent who voted for Brexit.